An Oklahoma lawmaker who recently advocated the beheading of American death row inmates, has backed a bill he says provides an "innovative" new way of executing prisoners - gas chambers. 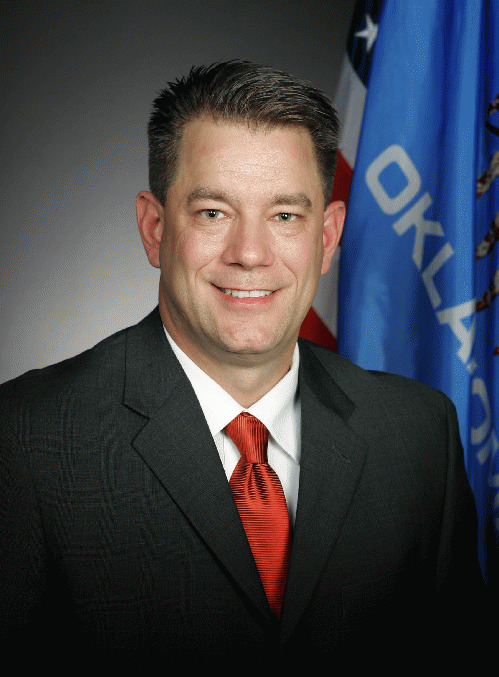 Mike Christian, an Oklahoma City Republican and former Highway patrol-man who conducted a study last summer into hypoxia, or the depletion of oxygen in the bloodstream,says smothering prisoners to death with nitrogen gas will be "fast and painless" and is "cheaper than the bullets you need for a firing squad." And, with no questions or debate, the Senate Judiciary Committee voted 9-0 Tuesday to authorize "nitrogen hypoxia" as Oklahoma's backup method of state killing, if lethal injection is ruled unconstitutional or if the deadly drugs become unavailable. For executions with the gas, inmates would either be suffocated in airtight chambers or have a plastic sack placed over their heads. "The method is extremely affordable", says Christian, "and you don't need a doctor or a medical person to find a vein." The grim proposal comes as executions in Oklahoma are placed on hold amid a U.S. Supreme Court review of its lethal injection method. The case, which was sparked by the horrific botched execution of Clayton Lockett in April 2014, centers on whether the sedative midazolam properly renders an inmate unconscious before drugs to stop the heart and suppress breathing are administered. Oklahoma officials concede midazolam is "not the preferred drug" for executing prisoners, but say they were "forced" to use it because European manufacturers of more effective drugs refused to trade them for use with lethal injection. The bill's author, Republican state Senator Anthony Sykes, said "The death penalty is a just and appropriate punishment for our worst criminals and nitrogen hypoxia is recognised as one of the most humane methods for carrying out the sentence." But Fordham Law Professor Deborah Denno, one of the America's foremost death penalty experts, said Sykes' claims should be treated with extreme caution, as they mirror those made by death penalty supporters in the 1970s. "If you look at all the statements and newspaper clippings made in 1977 when lethal injection was introduced [ironically in Oklahoma], they sound very similar", said Denno, "you can't ask a person who was executed if their death was cruel." No state has ever used nitrogen gas to kill an inmate. The last U.S. prisoner executed in a gas chamber was Walter LaGrand, by cyanide gas in Arizona in 1999. Mike Christian says he's worried adverse media about the bill may harm Oklahoma's image, and insists the state is "not barbaric." "I don't care if inmates are killed by lethal injection, electrocution, a firing squad, a hanging, the guillotine, or if they are fed to the lions", said Christian, "anything that keeps people safe."